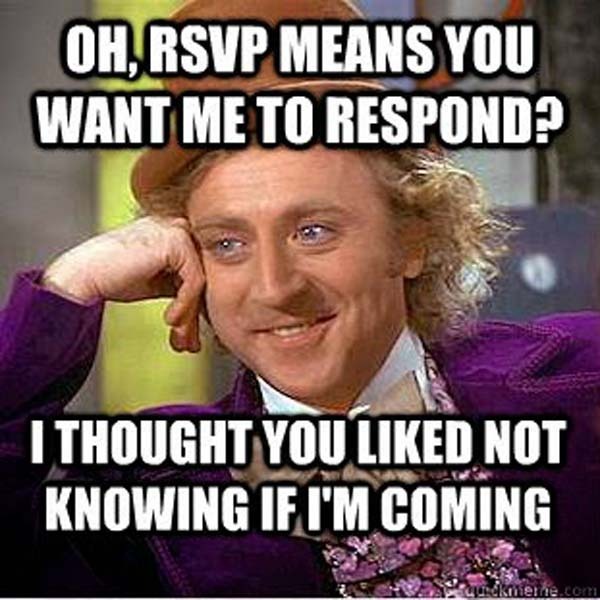 We’ve all experienced the dreaded “pop in” visitor. It’s Tuesday night at 7PM, you’re exhausted from the first two days of your week, dreading the morning ahead, just changed into your sweats, about to order some takeout and then — the text comes. This text can come from a variety of subgroups of people in your life. Could just be a buddy, but it could also be a significant other (or potential significant other) you’re trying to impress, a neighbor you don’t know well, or – the creators of the “pop in” – a parent/in-law/elder. Your eyes wildly scan your not-so-tidy home while you take a mental inventory of what you have to offer a guest in your fridge. A half drank bottle of sauvignon blanc, a bag of (probably) stale tortilla chips and 1 can of Tostito’s bean dip. It’s a slow panic that builds, but of course, you want to see the person in question, so you agree. 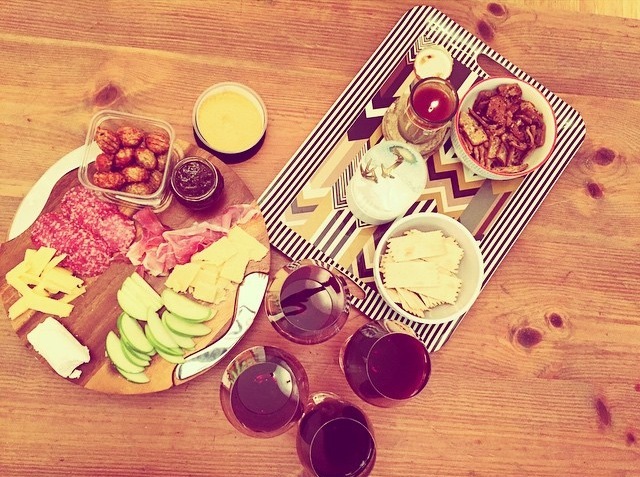 Now obviously, we all want our guests to walk into our spotless homes with fresh flowers bursting from the seams, while Adele gently spills out of our Jamboxes and we gesture towards the immaculate charcuterie board while gently asking “Do you care for sparkling or still water? Red or white wine?” But unfortunately, life doesn’t always look like that. At least it doesn’t in my house. Ideal situation. Not happening without advance notice. Here are my 5 tips for what to do when you only have 5 minutes, that will make a great impression on your guests. These can literally be done in this order, in less than 5 minutes. Boom, you’re guest ready. They shall never see your fear. 1. Throw any visible clutter into a closet or cabinet. Yes, this is cheating. At some point, I’ll write a separate blog post on one of my favorite keys to a stress-free life: always having your place 10 minutes away from being clean. Right now, we’re focusing on quick fixes. Chances are great that your guest isn’t going to be peering into any linen closets or bathroom cabinets while they’re there. Grab any clutter in sight (unopened mail, dirty clothes, shoes, dog toys, gym bag), and shove it into chosen drawer/cabinet, and force it closed. Done. Next thing. 2. Turn on your brightest lights in the main room. If you don’t have dimmers in your apartment or home, invest in some good lamps that are spread throughout your rooms, varying in height – a couple floor lamps, tabletop, etc, so that you can create layers of lighting. I live in a small, 2 room cottage, so my favorite trick is to make my main room as bright as possible to welcome in my visitors – but keep my bedroom dimly lit, indicating that it’s not the right place to gather and chat. So, brighten up whichever room you want your visitor in, and just turn on maybe one light in rooms that you want to fade into the background. 3. Tidy up your bathroom towels. 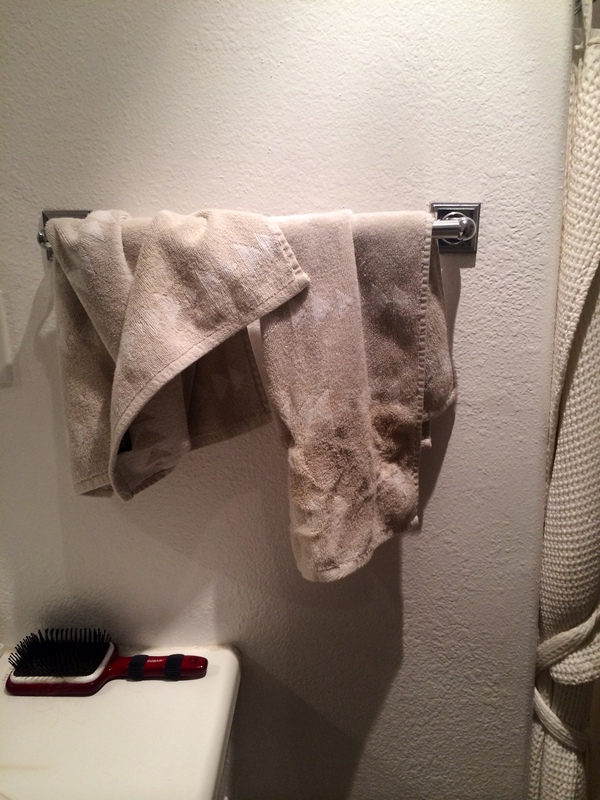 Nothing says “gross, maybe I live in a college dorm, except I’m 30 years old” bathroom like wet hand towels just thrown on the rack any which way. 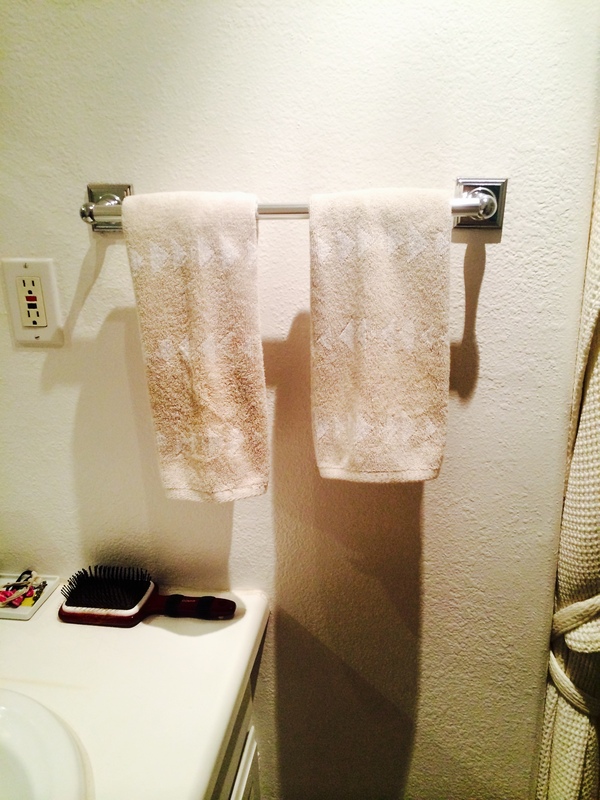 Run into your bathroom and neatly fold your hand towels and bath towels in a tri-fold, and hang them nicely. Straighten out any rugs and close your shower curtain all the way. Boom. You’re a classy person now. 4. Break out the cute bowls. 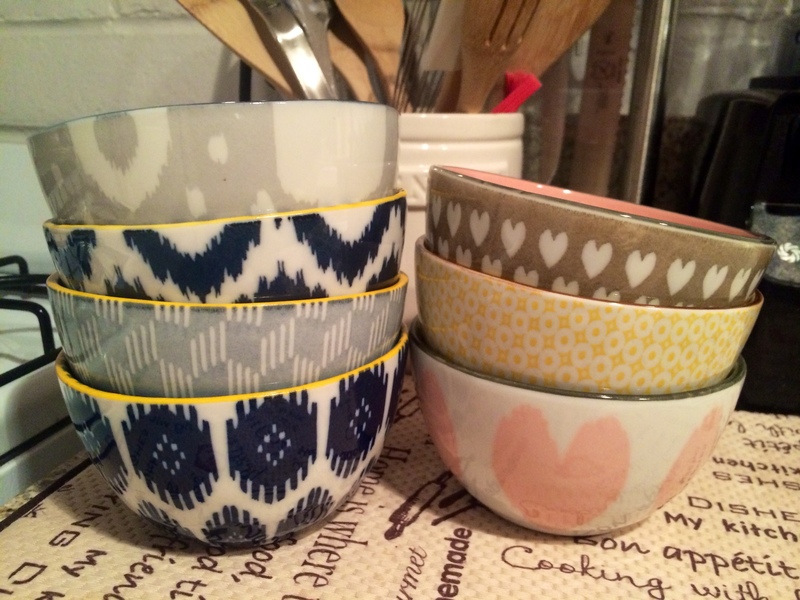 Be smart and invest in a few cute, patterned bowls that you can put snacks in for guests. They don’t have to be pricey – Target and Cost Plus have great options. I always think West Elm carries the most chic patterns. When you have cute dishware at your disposal, your guest will never know the contents of said bowls are actually 2 week old tortilla chips and plain old Tostito’s bean dip inside them. Yep, yep, of course I made this. Smile and nod. My personal collection. Yes, I have a problem. 5. Light an incredible candle. A candle is an instant mood changer and exudes a feeling of “the person lives here is calm and was expecting your visit, of course.” It doesn’t have to be front and center, but having a great scent is key for being a good hostess. 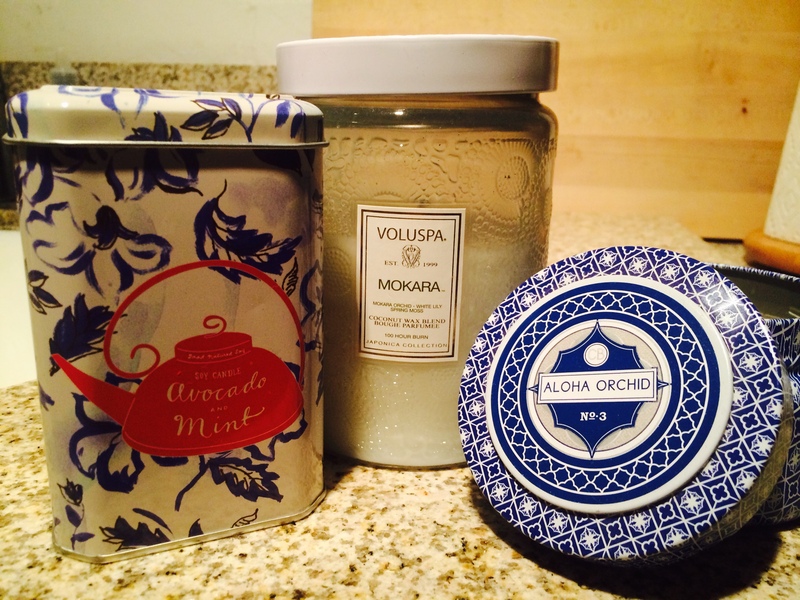 Some brands that I love: Good Nature Soy’s Avocado & Mint; Capri Blue’s Volcano and/or Aloha Orchid; Voluspa’s Mokara. Yes, they are a little pricey, but most of them burn for 60-100 hours – so they are great at saving for special occasions. If you can fix these five things in your house before your guest pops in, I guarantee they’ll never know you were about to crush a Fresh Brothers pizza while binging on Sons of Anarchy alone for the rest of the night. You’re welcome.